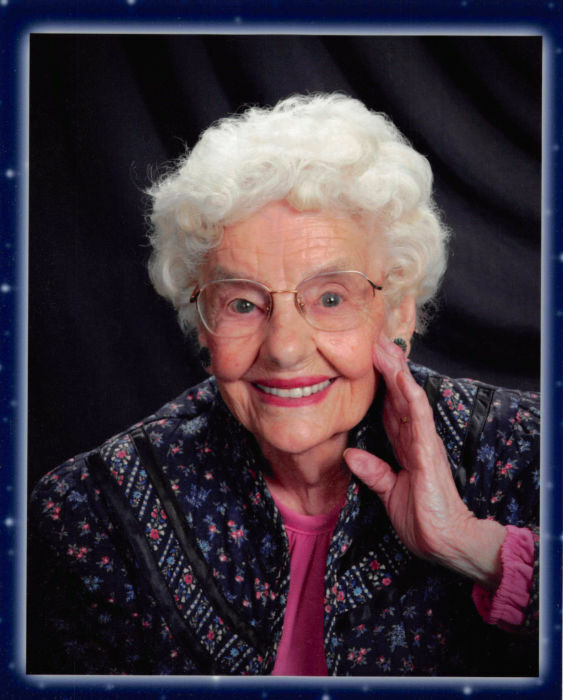 Obituary for Virginia Mae Boydstun | McCall Funeral Home, Inc.
Virginia Mae Boydstun, 95, of McCall, Idaho died February 2, 2019 in McCall. Dear friends and family help us celebrate her life of 95 years and honor her memory! Born to Elsie and Albert Cooper in Tekama, Nebraska, December 24, 1923, she was the eldest of three children, and lived on the family farm 12 miles from town. After the Great Depression and hard times, the family decided to seek a better life out west. In 1939, they loaded all their possessions in a Model A Ford with a rumble seat, along with the family dog, and headed to Idaho. They arrived in Emmett and Virginia started her sophomore year in high school, graduating in 1941. After graduation, she moved to Boise and received additional education in bookkeeping and shorthand while working in the dry goods at Newberry’s Department Store. In 1943, she met Johnny Boydstun, who went to Emmett to visit his cousin. As it turned out, that cousin was Virginia’s best friend. They were married in 1943 and were married for 64 years before Johnny’s passing in 2007. Johnny worked as a civilian aircraft mechanic during the war, and their first home was Mountain Home AFB. Following the war, their son Barry was born in 1945. They later lived in Landmark where John worked on a road crew, keeping the road open from Warm Lake to Yellow Pine. Virginia was the camp cook for the crew. In the 1940s, The Boydstun family later built and operated a Mobile Service Station in Lardo, and John & Virginia operated it for several years. During that time their daughter Patty was born in 1951. After selling the business, they began working for a highway contractor in the summers and returned to McCall in the winter months to operate The Little Ski Hill. Returning full time to McCall in 1960, Johnny became the first employee of Brundage Mountain Ski Resort. He worked for Brundage for 27 years until his retirement. Virginia was busy being a mom, but also sold tickets and helped work on the chairlift operations at Brundage Mtn. She became a bookkeeper for Shaver’s Market and department store, until her retirement after 16 years. 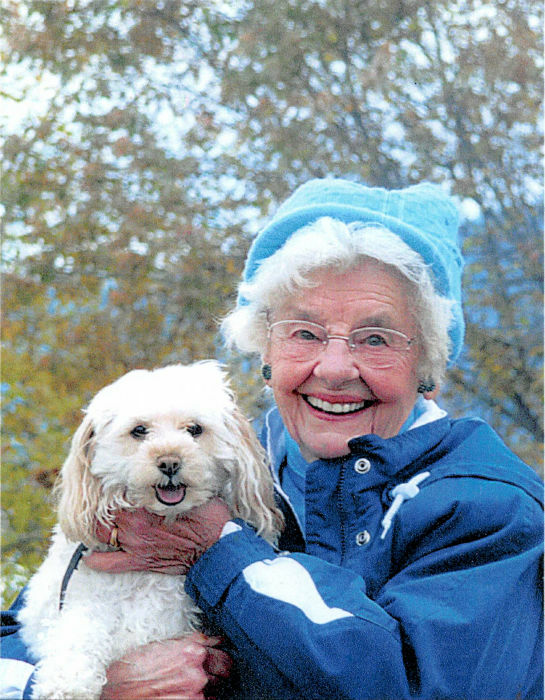 Virginia was a 60-year member of Eastern Star, enjoyed Daughters of the Nile and Wives of Shriners, Progressive Club, Book Club, Bible Study and was a regular at the Senior Center for dinners & exercise class. Virginia and Johnny became members of the Community Congregational Church in 1944, where she has been devoted member since. Her commitment to staying active, positive, making the best of her situation, and remaining connected to friends was a deliberate and conscious decision. Her spunky and upbeat attitude caused many people in our community to admire her as a mentor and example. In retirement years, she and Johnny traveled across the country from Alaska to Nova Scotia and all over the west in their Airstream Van. They loved to tell stories of their travels, and always with great humor and laughter. She always had a “no tell em” huckleberry patch and favorite wild mushroom spots. She loved the out-of-doors and Idaho! She loved her family and being a grandma. Virginia also loved her home and to look out her windows and see the foxes, squirrels, birds and deer. She never wanted to give that up; and she was able to stay at home until the very final days of her life. “You don’t want to give that up if you don’t have to. I put my trust in the Lord, and hope for the best”, she was known to say. Virginia was preceded in death by her husband John Boydstun, father Albert Cooper, mother Elsie Cooper, brother Harold Cooper and sister Gwen Schaap Axell. She is survived by her son Barry Boydstun (Patty), daughter Patty Hovdey (Dean), grandchildren, Eric Hovdey (Jessica) and Anna Bechtol (Stephen) and numerous nieces, nephews and their families. May God Bless Virginia’s legacy to her family, friends and community. Funeral Services will be held at the Community Congregational Church, 901 1st St., McCall, ID on Saturday, February 9, 2019 at 1:00 p.m. with burial at McCall Cemetery following.